Pups in the park season: play ball! Today is Opening Day for the Washington Nationals baseball team, and they face off against the Marlins at 1:05 p.m. But what local dog owners can really get excited about is Pups in the Park! The Nats are once again holding their extremely popular promotion where you can bring your dog to a game. It doesn’t get much better than being able to enjoy a hot dog and cold beverage while cheering on the home team while spending quality time with your four-legged friend. This year, there are four Pups in the Park games. The special Pups section is the Outfield Reserved section 140-143. Tickets can be bought online, and they are $22 for an owner ticket, $8 for a dog ticket. Proceeds from dog tickets go to the Washington Humane Society. Get more information and buy tickets. 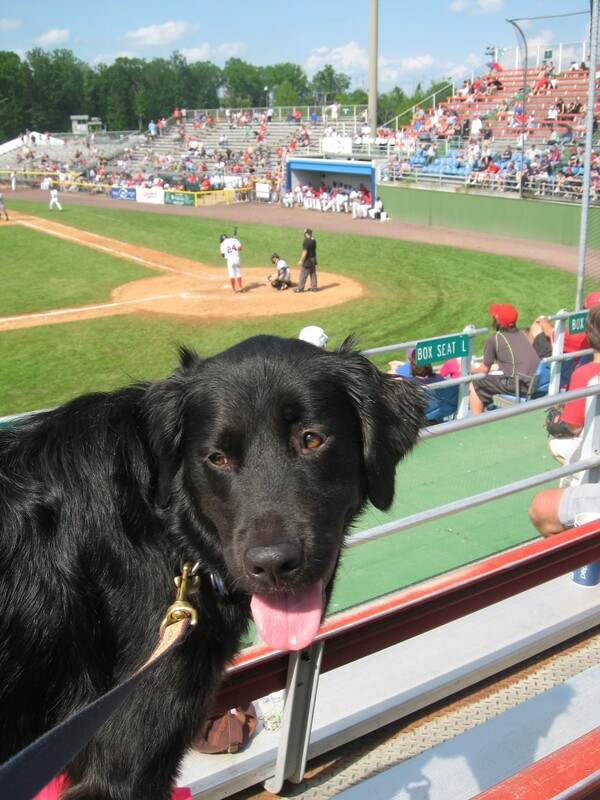 The great thing about the P-Nats Bark in the Park games is you can buy tickets and sit anywhere with your pup. Tickets range from $8 to $15, depending on location and if you get a military, senior or child discount. Parking is free! One warning, if your dog doesn’t like thunderstorms, don’t bring him/her. The stands are metal, and the fans stamp their feet to rally the team, and it sounds just like thunder.